These two things go together like peas and carrots. This Saturday The Kentucky Derby will happen and there will be Mint Juleps all around Louisville. I lived in Louisville for three years and I had my share of Mint Juleps while I was there. The thing about Mint Juleps is that the first one or two of them are really hard to get down. But after that… woo whoo!! I would tell you more, but frankly, I can’t remember much!! I got this information from Wikipedia and how to prepare a Mint Julep. A mint julep is traditionally made of four ingredients: mint, bourbon, sugar, and water. Traditionally, spearmint is the mint of choice used in Southern states; in particular, Kentucky Colonel. In the use of sugar and mint, it is similar to the mojito. In preparing a mint julep, a fresh mint sprig is used primarily as a garnish, to introduce the flavor and aroma through the nose. If mint leaves are used in the preparation, they should just be very lightly bruised, if at all. However, proper preparation of the cocktail is commonly debated, as methods may vary considerably from one bartender to another. 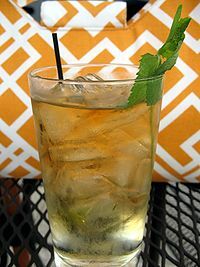 By another method, the mint julep may be considered as one of a loosely associated family of drinks called “smashes” (the brandy smash is another example, as well as the mojito), in which fresh mint and other ingredients are muddled or crushed in preparation for flavoring the finished drink. The step further releases essential oils and juices into the mixture, intensifying the flavor from the added ingredient or ingredients. Traditionally, mint juleps were often served in silver or pewter cups, and held only by the bottom and top edges of the cup. This allows frost to form on the outside of the cup. Traditional hand placement may have arisen as a way to reduce the heat transferred from the hand to the silver or pewter cup. Today, mint juleps are most commonly served in a tall old-fashioned glass, Collins glass, or highball glass with a straw. So if you want to get into the spirit of The Kentucky Derby, have yourself a Mint Julep and enjoy the race. Who did really good: Nicole Scherzinger and Derek Hough. I like Nicole, but really don’t want to see Derek win again. They really need to be voted off: Jake Pavelka and Chelsie Hightower, Jake’s 15 minutes of fame needs to be over! Surprise of the night: Evan Lysacek and Anna Trebunskaya. Boy, the judges really didn’t like his Samba at all. I hope they don’t get voted off, I would like to see him and Anna dance into the finals. Best song of the night: “When I Get You Alone“—Robin Thicke. When I hear this song, it’s hard to picture Robin Thicke singing it. The voice and body don’t match. Plus it has a track sampled Walter Murphy‘s “A Fifth of Beethoven” – a very cool song! Did Maksim Chmerkovskiy need to rip his shirt off? I know some people must of loved it, but I have to agree with Len Goodman on this one, he didn’t need to do it. I really can’t believe I am saying this… I miss Samantha Harris! Here is my weekly list of what is on my iPod. Maybe one of my all-time favorite groups from the 80’s (I know, I have a lot of favorites). When I think of this song, I think of the video. I love Martin Fry (lead singer)! Another one of their songs that I love is “Poison Arrow“. This song reminds my of my friend, Rita. It came out around the time we hung out together and played cards in her apartment. It is such a groovy song to listen to. I love listening to music from TV shows or movies. This song is from on of the episodes of “One Tree Hill” (don’t judge me – I like that show). OK, if you are a Child of the 70’s or 80’s, who didn’t like Leif Garrett? I was one of his followers. I might have only heard a handful of his songs, but this one get a couple of hits a month on my iPod. There is a whole playlist on my iPod of songs that get on my nerves. You may be asking, why do I have these songs if they get on my nerves? The simplest response is… I’m a songs on my iPod hoarder! Yes, there it is, I’m a song hoarder. I blame this “disease” on my parents, who are hoarders themselves. But back to the song… when I was looking up information on it, I just found out that Mungo Jerry was a “group” and not one person (like Jethro Tull)! You learn something new every day!! I can tell within the first few beats of the song when it’s on. I can listening to about 30 seconds of it before I have to change it. So these are this week’s picks of what’s on my iPod. I got these from my co-worker, Temaka and thought I would share them. **Warning** They might not be the greatest, but, what the heck, it’s Friday!! “Incredible!” remarked the seaman. “How did you get the eye patch”? “A seagull dropping fell into my eye,” replied the pirate. “She wasn’t talking to me. She was talking to the doctor. A woman was trying hard to get the catsup to come out of the jar. During her struggle the phone rang so she asked her four-year old daughter to answer the phone. “It’s the minister, Mommy,” the child said to her mother. Joe walks into the living room and sees Lucy whooping and hollering. “What’s the matter?” Joe asked. “Nothing at all. I just finished a jigsaw puzzle in record time!” Lucy beamed. A West Virginian walks into a hardware store and asks for a chain saw that will cut 6 trees in one hour. 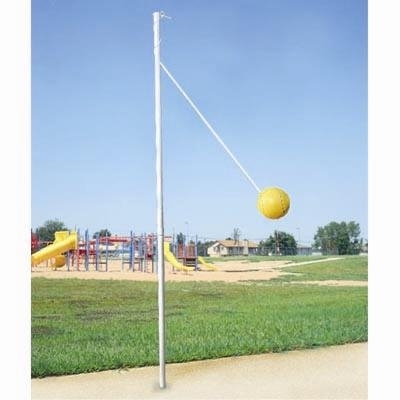 The salesman recommends the top of the line model. The West Virginian is suitably impressed, and buys it. The next day he brings it back, complaining that it would only cut down 1 tree and it took ALL DAY! A couple trying to break into society hosted a dinner party. As the guests were enjoying their dinner salad, the maid called the hostess from the table. The maid informed her that the cat had climbed on the kitchen table and eaten a large portion of the salmon’s mid- section. The hostess decided to fill the eaten portion with some canned salmon and other camouflage. The hostess and her husband informed the guests and suggested it might be best if everyone went to the hospital and had their stomachs pumped. 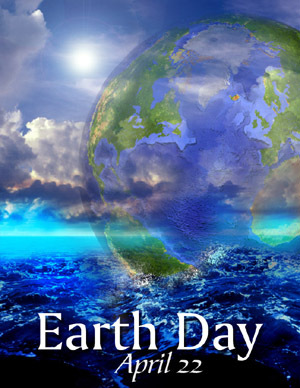 Today is Earth Day and I am wondering what am I going to do to be a part of this day? The only thing that I have done so far is bring my lunch in plastic bag that has been around the house for a while. Other than that, I really haven’t done much. A couple of years ago, I did plant a tree at my parent’s house in Michigan. They don’t live there any more; I wonder how big that tree is now. My plan is to do a little something every day, not just on Earth Day. I have mentioned before that I have a list of movies that I want to see before I die. I just found this on IMDB.com about Turner Classic Movies will host the first-ever TCM Classic Film Festival. … April 22-25 in the historic heart of Hollywood at legendary venues like the Grauman’s Chinese Theatre, featuring more than 50 screenings, world premiere restorations, classic stars and directors, panel discussions and red carpet moments. Here are some of the movies that they will be featruing. How many of them have you seen? I have nort seen any of these movies and I plan to at least watch a couple of them during the TCM Classic Film Festival.